In the account settings for my default (and only) mail account, I have elected not to compose messages in HTML format (screen shot 1). Accordingly, when I hit the Write button on the main window I am presented with a plain-text composer, as expected (screen shot 2). 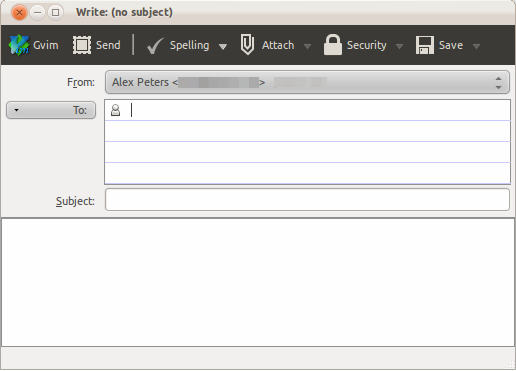 When I click an email address in Firefox however, I am presented with an HTML composer (screen shot 3). Further, simply selecting "plain text only" in this composer does not actually achieve the desired effect of converting the message back to plain-text. Instead, the HTML formatting toolbar is hidden but the message remains in HTML format. This can be verified by saving a test message to the Drafts folder and then inspecting its source. There is no way to convert the message back to plain-text short of copying the message body into a new composer properly configured for plain text. Screen shots will be attached shortly. 1. 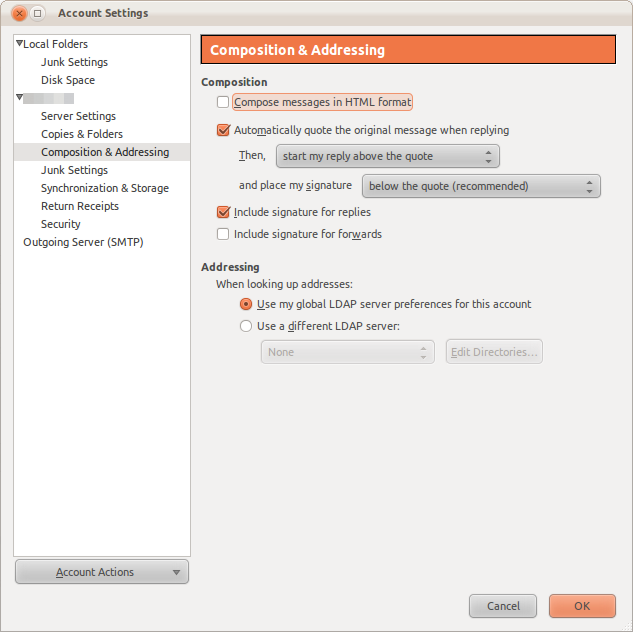 Open a folder belonging to an account whose settings instruct NOT to compose messages in HTML format. 2. 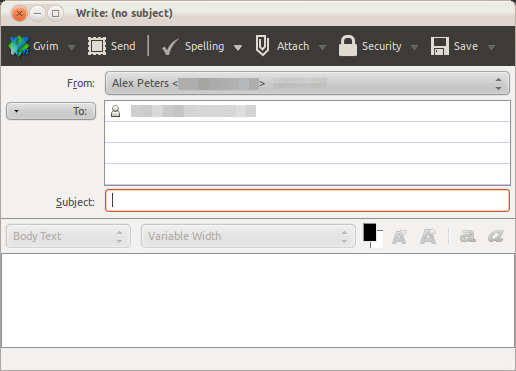 Locate a plain-text mail item with an email address and click it. 3. Observe that the composer window opened by this action features an HTML formatting toolbar. This is still a problem for me. Is anyone doing anything about this?